Endless Paradigm / PSP Customization / PSP Misc Discussion / PSP News / Signed 5.03 Kxploit v7 released! Signed 5.03 Kxploit v7 released! VirtuousFlame has released the signed 5.03 Kxploit in Version 7! 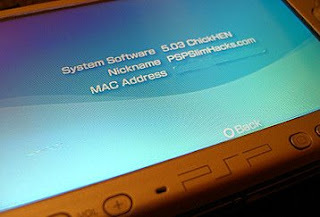 Just copy the unpacked zip to PSP/GAME ! Streamlining the code, reducing execution time. Now the public can readily disguised, the size is only 440KB or so. RE: Signed 5.03 Kxploit v7 released! By far the most stable version for TA-88v3 and up. And VF knows it (else he would've dropped support). But it's also important to keep working on newer firmware too. I'm sorry, but for what PSP version is this Xploit??? This isn't te KXploit, that one is already patched on firmware 1.51. You're right,but with Kxploit he means now "Kernel Exploit" and not the kxploit in the 1.0 - 1.50 times. Link is dead and source needs an account. Can you please reupload it ? (29/03/2011 12:30 PM)DSpider Wrote: Link is dead and source needs an account. Can you please reupload it ? I attached it to the first post. This is why I wish people would just attach small files like this right here @ EP, instead of using a hosting site. The links on sites like rapidshare and megaupload often die. Also, many peeps are trying to download this stuff directly from their PSP, and most of those hosting sites are not PSP browser compatible..
Of course, it would be too much to host large files here at EP. But little files smaller than 2 mb should be attached right here. On the other side of that coin, some of our news posters are very busy, and may not have time to upload everything they post here to our servers. I understand that, and will be doing my best to help attach small files to our server.